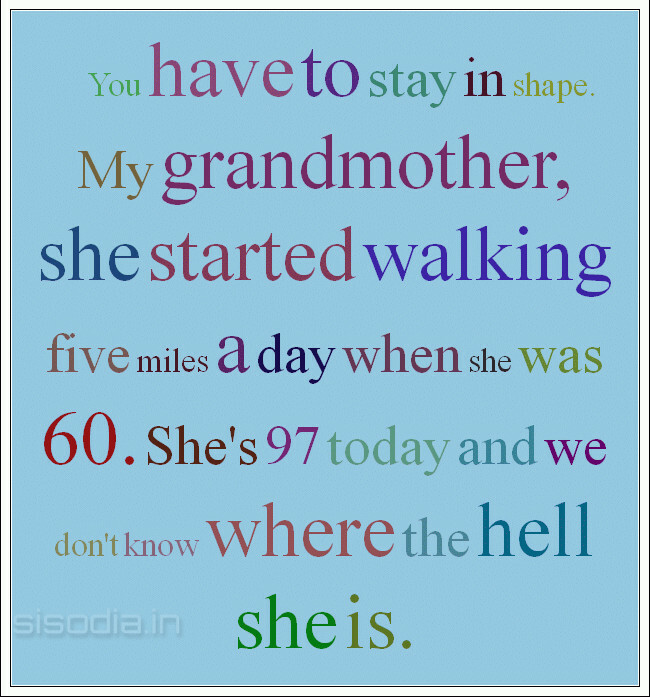 Quotes Find: You have to stay in shape. My grandmother, she started walking five miles a day when she was 60. She's 97 today and we don't know where the hell she is.